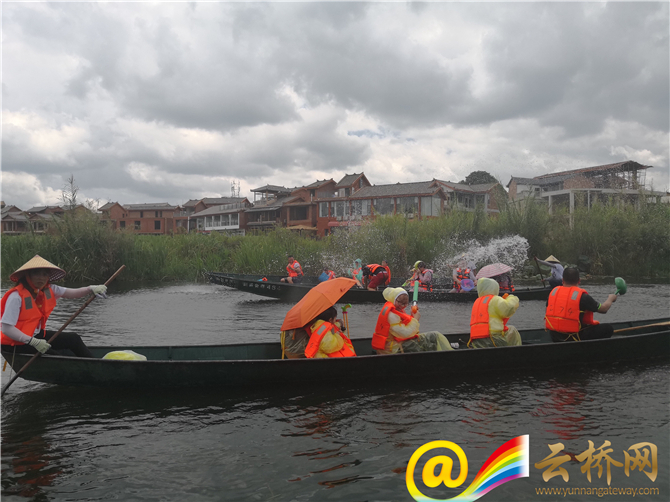 A group of global experience officers for the newly-launched the “Travel in Yunnan” APP had a great fun July 18, splashing water at the Puzhehei scenic area in southeast Yunnan’s Qiubei County. Of the experiencing tourists, Sallif from the Republic of Mali enjoyed to the fullest the clear waters and picturesque hills of the typical karst landform. “I love you, Puzhehei,” he said in excitement, singing a Chinese folk song. Before water splashing on the lakes, the experiencing participants tried to use the new tour APP to book tickets, enter the gate, and look up the sites and services. The APP turned out to be effective in providing easy and fast information for travelers. Besides water fighting, the Puzhehei tour in summer also features locus blossoms in large areas.